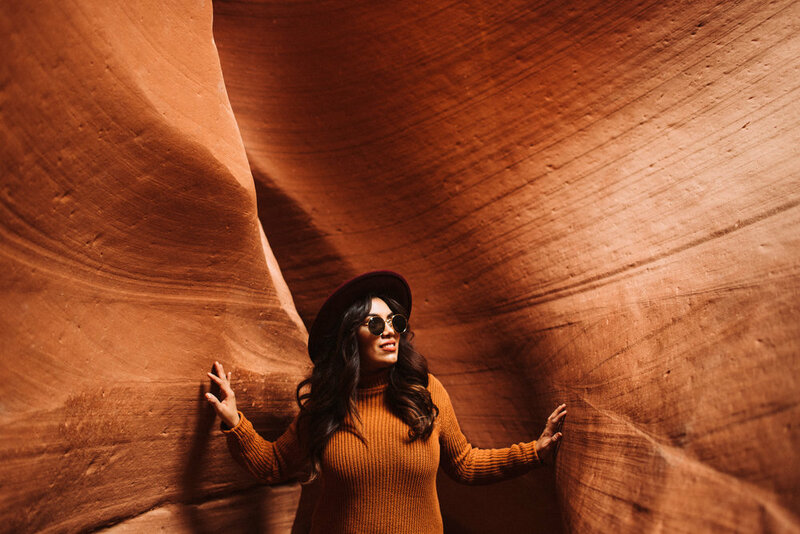 Antelope Canyon is a photographers dream! With that said chances are you won't be the only one fighting for a chance to get "THE SHOT! this place has become incredibly touristy over the years. But even with the crowds chances are you'll find some time to snap a few shots of the spiral walls and avoid others from photobombing your shots. Tours are schedule every 30 minutes and last about an hour with an average group size of around 15 people, giving you ample time to do your thang. 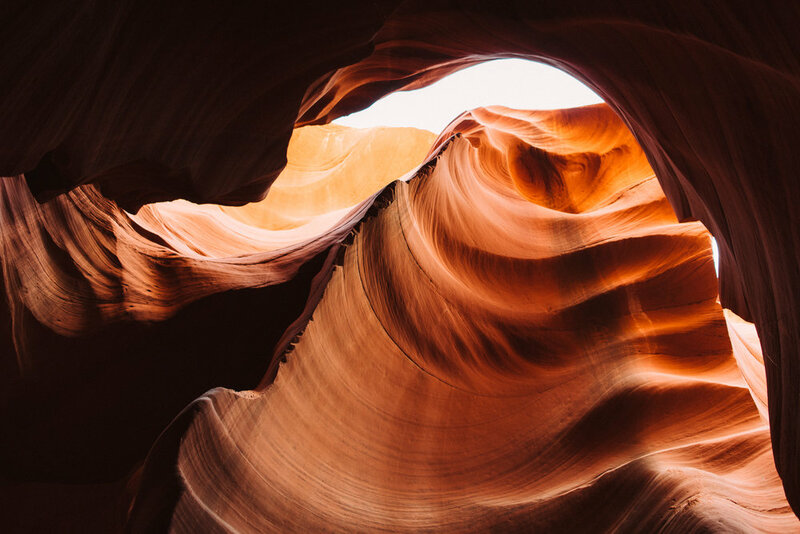 There are two tour companies that run the show here, Kens Tours and Lower Antelope Canyon Tours. You'll see both as you drive down to park (we went with Kens Tours) you can purchase tickets online or buy them at the ticket window when you arrive. We had a chance to swing by early Sunday morning while in route to Zion from The Grand Canyon and experience this place for ourselves. Even in the winter and even with little light seeping through the canyon that morning, it was so so worth it.